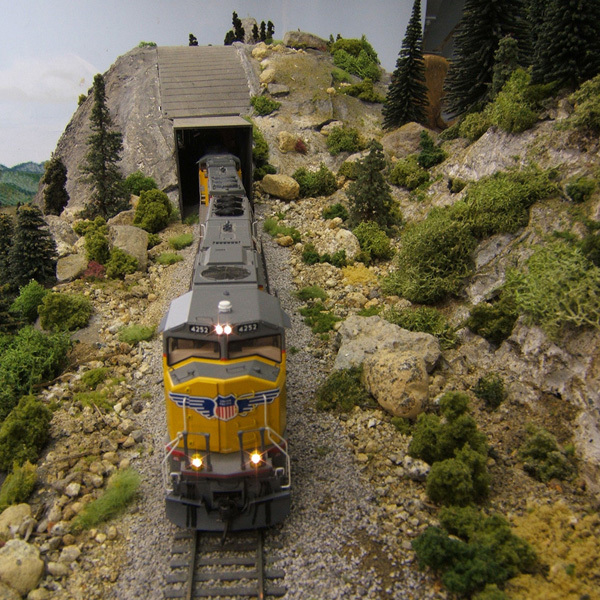 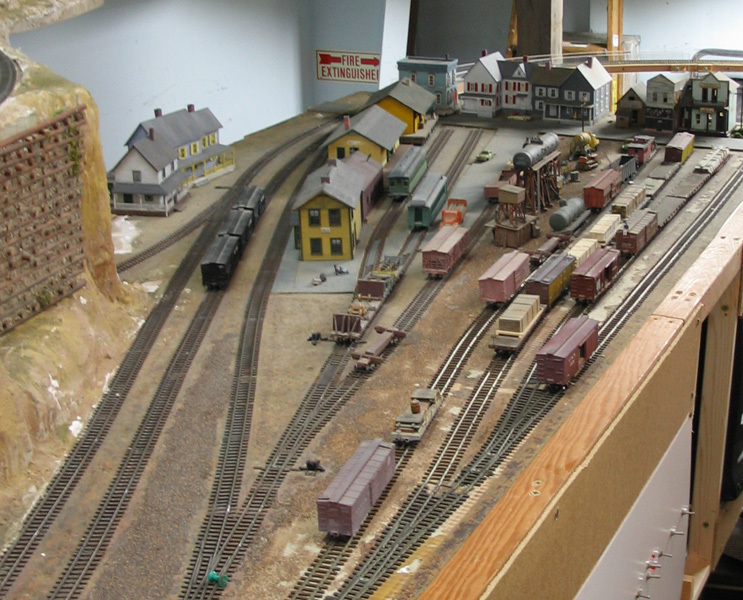 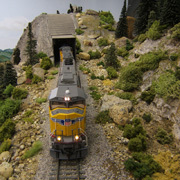 The HO layout depicts railroading around the San Francisco East Bay and interior, north to Sacramento, Roseville and Truckee over Donner Pass. 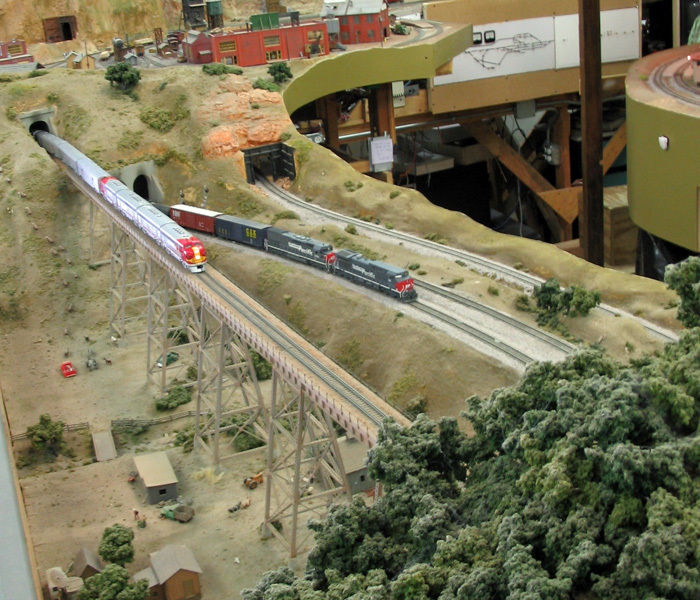 It includes sections of Southern Pacific, Santa Fe and Western Pacific trackage. 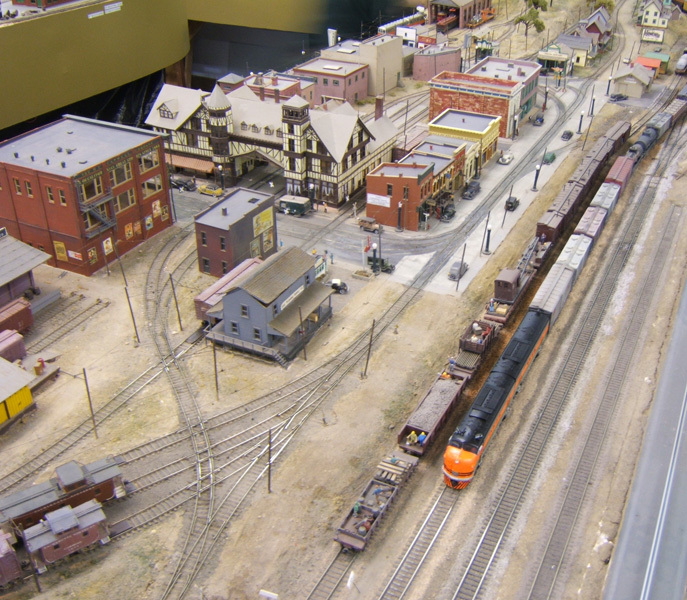 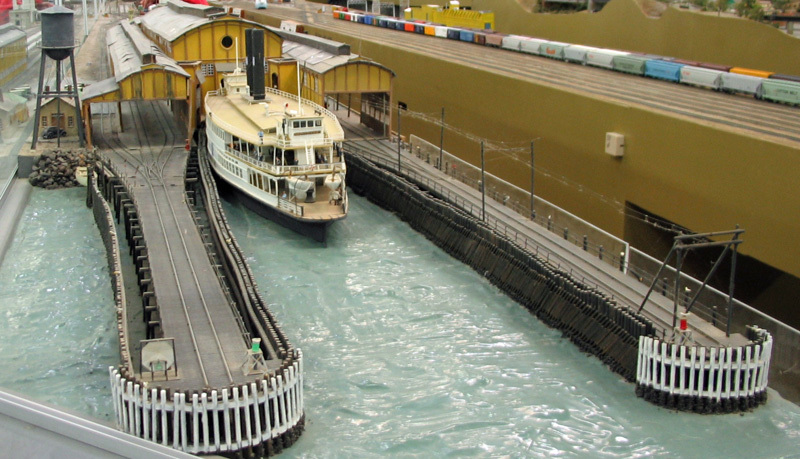 It feature many scale miles of track, along with familiar Bay area features like the Oakland Mole terminal, the Oakland 16th Street Passenger Terminal, a fully operational trolley and interurban system and a narrow gauge railroad.